You have confirmed that you are signed into your paper by clicking on the main menu icon on the top left corner. You see your avatar in the main menu left sidebar menu. However, when you attempt to use the bookmarklet, you are asked to sign on again. Once you select the social media channel used to create your paper, you are given the option to add the article, image or RSS feed, but the article, image or RSS feed is not added. Your issue is most likely caused by the fact that third party cookies have been turned off in your browser settings. By turning OFF third party cookies, we are not able to recognize that you are already signed in. To allow third party cookies in Chrome, go to Chrome > Preferences > Settings and then at the bottom click on "Show Advanced Settings". Next, under the section called Privacy, click on the button called "Content Settings...". 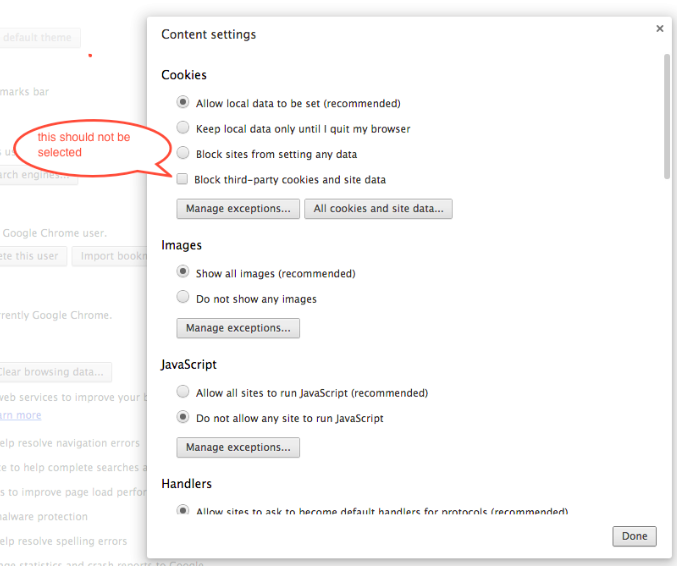 Be sure that the option "Block third-party cookies and site data" is not checked. 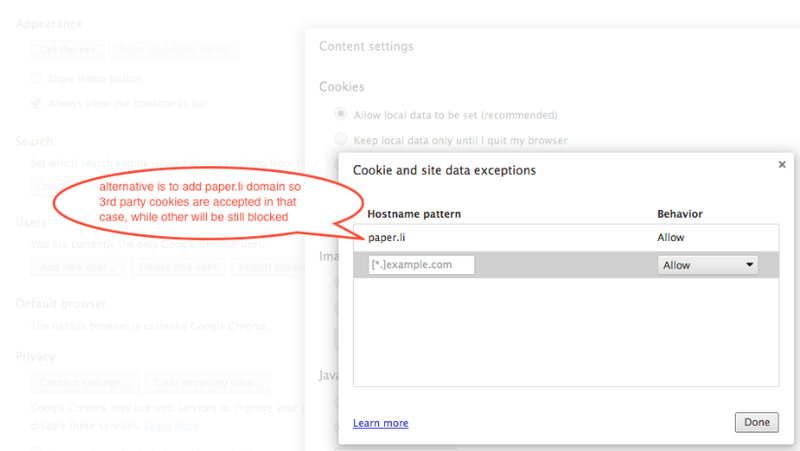 If you want to block all except paper.li, then click "manage exceptions" and enter our website name to allow us to keep a cookie on your computer so that you can use the bookmarklet. If these instructions aren't helping with your issue, tweet us at @paper_li with your paper URL and name of browser and we can investigate.